In recent years PFA programmer Steve Seid has become one of my favorite quipsters. 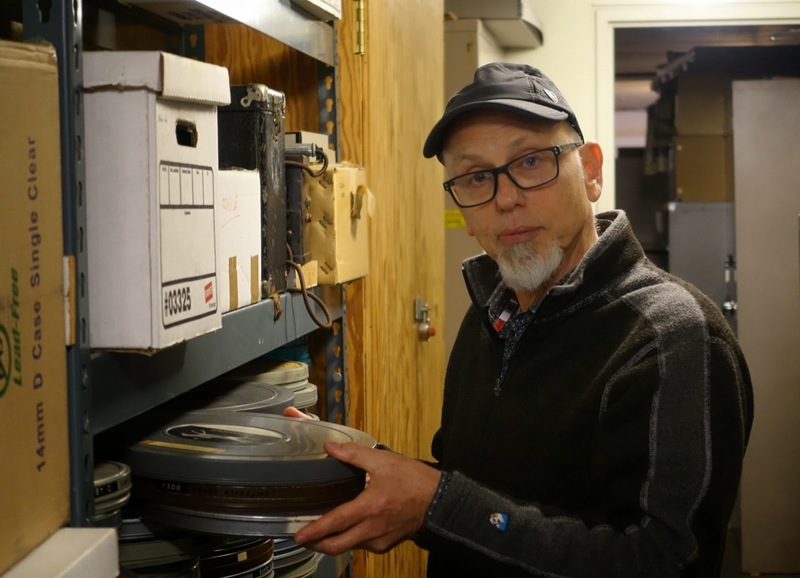 Case in point, when I learned that he was retiring from the Pacific Film Archive (PFA) after 26 years of service, I asked if we could do an exit interview and he retorted: "An exit interview? You mean like when you leave the secret service and they expunge all state secrets from your cerebral cortex? I could go for that." I was crestfallen when I learned of his retirement, for purely selfish reasons. Although I have taken advantage of many of the diverse programs offered at PFA over the years, it was Steve's programs that I enjoyed the most for their populist relevancy and their undeniably pulpy vibe. He always took time to talk to me in the audience, either welcoming me back from Idaho or warning me not to return, and enhancing the value of the screenings with his informed and casual perceptions, which he freely shared. It was always fun to attend one of Steve's programs at PFA. I knew I would get to hear good music, watch a great film, and have a fascinating conversation afterward. I also feel a sense of grateful indebtedness to Steve for granting me credibility as a film writer, first by inviting me to talk to a graduate class of film curators at Berkeley, then inviting me to interview William Friedkin on stage when PFA screened the restored version of Sorcerer (1977), and also for arranging my being an invited guest at the 2013 Morelia Film Festival. He has been one of my champions in a near-decade of writing on film and his encouragement has meant the world to me and been a real boost in my arm when my spirits were flagging. Though I know I will see him here and again in audiences at Bay Area screenings, I will sincerely miss what he offered to the Bay Area's programming landscape: a singularly maverick perspective that often made me laugh and always made me think. Quoting Antoine Saint-Exupery: "For I have made him my friend, and now he is unique in all the world." I'm grateful that in my last few days during my recent visit to San Francisco, I was able to attend his retirement party at the Berkeley Art Museum, but more that we spent a morning sharing coffee and Italian pastries at PIQ, a café on the corner of Shattuck and Addison. Michael Guillén: I've long been interested in programming style and curatorial taste and—what drew me to your programs at PFA—was a quality that I can describe with the old English proverb: "All arts are brothers; each gives light to the other." Your programs had a pronounced connective tissue between, let's say—as one of your most striking series—pulp fiction and film. So that's something I'd like to approach in our conversation today, but, first, let's get a bit of back story. You've been with PFA for 26 years. How did you get started with them? Steve Seid: There were two starting points, really. I was hired in 1988, but I had already done some curating there previous to that. To my last day, my official job title was as a "video curator", which is what I was originally hired to do. My background was dealing with experimental media and doing "video art", as it was called back then (because there was no "digital media"). Guillén: Had you trained in that? Seid: I'm an autodidact. My experience came from exposure to video art. Around 1985-86, Edith Kramer—who was then the Senior Film Curator at PFA—decided that there was this other medium called video that needed some recognition so PFA went out and bought video equipment. There had already been a curator who had done video on the museum side, David Ross, a prominent curator in the '70s and '80s who had been Senior Curator at SFMOMA, but who actually began on the East Coast at the Everson in upstate New York. Anyway, Edith went out and bought video equipment and, so—now that there was video equipment—there had to be something running through it. In 1986, I was hired to do a few things with video art. 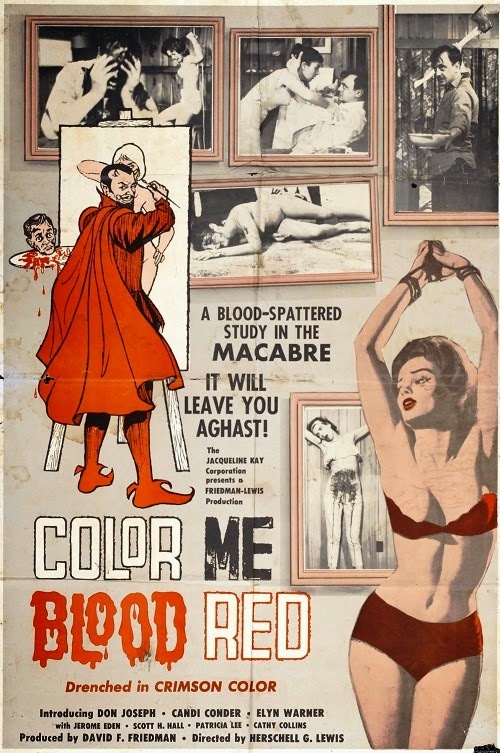 The equivalent would have been experimental film, but this was work that came out of a different originating story. It was more oriented to galleries and based on art history, rather than film history; but, the Bay Area had a huge truly prominent community at that time with people like Howard Fried, Paul Kos, Tom Marioni, Terry Fox, Ant Farm, TVTV, all these groups that were important elsewhere. A lot of them are covered in Radical Light. So that scene was really where I came from. Edith hired me to do that and then decided that there was enough reason to look at it more seriously. I was hired in 1988 and—for the first five years or so—I'd say the mix was 75% experimental media and 25% film. Gradually, over time, I began to do more and more film. But again, in a sense, I'm completely self-taught as far as film history goes. I went through graduate school in lit and I took a couple of film courses that I thought were kind of terrible! Guillén: What's intriguing is that so many programmers of our generation are autodidacts who are a completely different breed than all of the young people fresh out of film school who have trained to become curators and programmers. Seid: Certainly, there was film school; but, this notion of a curatorial program is truly a current concept. Guillén: So you started out with experimental media, gradually shifted to film, so what kind of film were you shifting to? What did that segue look like? Seid: Mainly doing thematic series. One of the very first series of any scale that I did was a program I did with Judy Bloch and it's maybe the only instance where she curated. We did a series called "Movies Take On the Tube", that was basically about the representation of television inside of Hollywood cinema. For me it was perfect because—since I was dealing with electronic media—so much of it was contextualized by the tube; though not necessarily of the tube. When you would exhibit at a gallery, for instance, you would do it on a television set. I was interested in that framing. Guillén: That reminds me of a great quote I just read from Groucho Marx: "I find television very educational. Every time someone turns on a set I go into the other room and start to read a book." Seid: [Laughs.] Returning to your earlier quote of the English proverb—which is really about the dark secret—ultimately everything that I do sits on top of an interesting idea; not an interesting film. I found myself intrigued and working with moving images, but really for me it starts with an interest in ideas and how you disseminate and organize them. When I went to graduate school it was long enough ago that it was a formalist department and it was very much about the text. You look at the text and the text tells you something. It's not about the author. It's not even necessarily about the historical moment. It's about the text. I moved that over into: how do you pursue interesting ideas that might have an impact on someone, or an audience? Guillén: Would you say that an idea enters an audience more readily than an image? 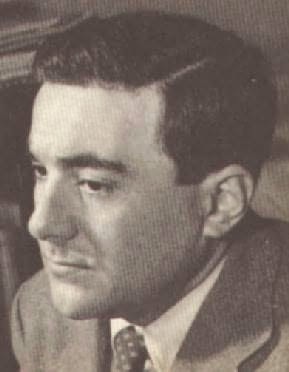 When you started talking about David Goodis in your "Streets of No Return" series, for example, you provided a context and gave a face to the author who had inspired these films. I'd seen some of the films before but they didn't hit me the same way as they did once I had the ideas to situate them around. Seid: Well, with the Goodis series I read all of those books and I felt that I was sometimes talking about the slippage between the book and the film or about having an overarching sense of what Goodis was up to and, hopefully, with the program notes and the introductions the films resonated in a different way. In a certain way, it can get you in trouble with purists. That's why for me I've been able to make the transition towards digital cinema without kicking and screaming because what I'm interested in presenting to an audience is interesting ideas, not whether it's a photochemical experience or a digital experience. Those things become important on top of that, but ultimately for me filling in all those things is serving a culture, it's not serving itself. Guillén: Let's talk about the maverick edge of your programming and the sometimes controversial ideas upon which your programs sit. It seems as if PFA has given you free rein to pursue what you want to explore? Have you ever had any issues with conforming to the archive's institutional parameters? Seid: Yes and no. Edith Kramer was open to just about anything. It was almost as if she didn't want to protest. She just wanted to see things happen and, if they were successful, great! If they failed, well, that happens on occasion. Guillén: Nowadays there's, perhaps, even more commercial pressure to "succeed" at the box office, even at PFA, than there might have been in the '80s? Then there was more opportunity or license to be exploratory? Whereas now you have to think twice about choices? Failure isn't allowed to happen as often? Seid: Kathy Geritz and I got to be very playful and raise hell because the point was that Edith did these big successful weekend series, like an Antonioni series or a Fassbinder series, and the success of those shows would give us the license to take huge risks. In a certain way, she was subsidizing us. Edith would simply support us, or simply not hinder us. I never felt discouraged by her. Guillén: Let's give a round of applause to Edith Kramer!! Another quality of your programming that I admired was your attention to cultural and political currents informing the zeitgeist. You often expressed ideas about cultural change within film programs. Some of these ideas might have been questionably controversial but they addressed the spirit of the times head-on. It strikes me that this should be the educational role of a cinematheque in contrast to the multiplex? Seid: I'd like to think I had a cultural vision. I actually wrote an article about it ("The New CCC") where I created this entity called the CCC, a Cultural Cinema Center, where the idea was that it was an exhibition program with cinema at the center of everything but in service to opening up a discourse with the community. That's what I was trying to do with my programming at PFA. I felt that as a non-profit organization, we weren't there just to dodge taxes; we were there to add something to the culture. A lot of the series that I did, which may have even appeared funny at the time, at some level were there to make you aware of something. I remember when George Bush came up with his "axis of evil", I did a series called "Excess of Evil", which was all about a belief in Satan, basically. What is evil? Guillén: [Laughs.] Coincidentally, when Bush made that comment during one of his televised speeches, that's when I turned the TV off and refused to watch it for years. I was so disgusted. To this day, I very seldom watch political speeches or even the news because of that reprehensible speech and how I felt it set America back. I eventually returned to television, but primarily for narrative serials. But after that speech, I lost my faith in television as a medium that reported truth. Guillén: I was born early enough to watch news broadcasters like Walter Cronkite deliver the news in a fair and informative way. That's what I associated television with, responsible news reportage, along with the sitcoms and soap operas of course. But that's all changed. Anyways, another programmer whose maverick edge I admire is Joel Shepard, whom the San Francisco Film Critics Circle just awarded our annual Marlon Riggs Award. Seid: He does take risks and has been recently doing some interesting stuff, like his New Filipino Cinema series. Guillén: That series is great because it's speaking to a rising Asian American demographic in the Bay Area. Seid: It's payback too. Because you know what was under Yerba Buena Center for the Arts? The Filipino community. That's where they lived. When Yerba Buena was created, they had to do their classic urban renewal and knock everything down to the ground and the Filipino community at the time lived right there and had to move. Guillén: How fascinating! I didn't know that. I wonder if Joel knows that? Seid: I hope he does! The success of his series is payback! Guillén: And his "Invasion of the Cinemaniacs" was noteworthy. Seid: Yeah, but you played with his head. You purposely picked a film you knew he could never get. Guillén: [Laughs.] No, honestly, we thought we were going to be able to get it. 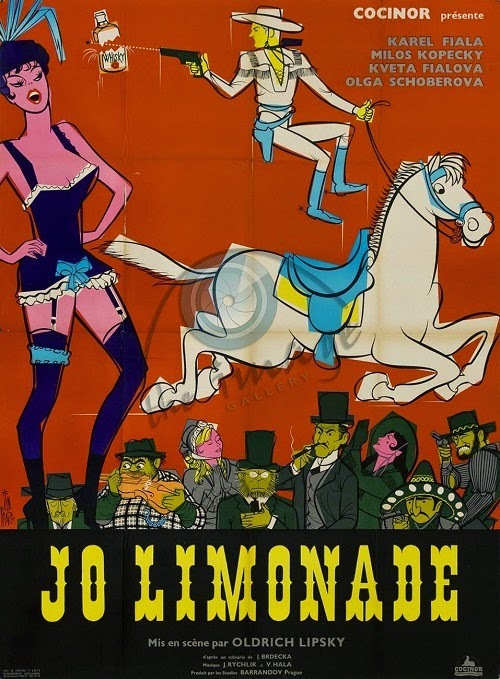 Even Arturo Ripstein was excited and was going to come up from Mexico and watch it. Guillén: Oh, you. Returning to what I meant to ask, when should programming align to cultural and social forces rising to the surface? As a programmer, at what point do you have to compromise curatorial taste to align with how audiences are changing? For example, as you said, Edith Kramer was able to successfully mount an Antonioni series as an art film retrospective, but can that still be done today as more and more audiences lose touch with that lineage of art film from the '60s and '70s? A younger demographic might not be as interested in art film and, as with YBCA, anime might be the big thing now. You, however, seemed to be able to keep your curatorial taste aligned to shifting spectatorial tastes. You incorporated a lot of pulp and popular culture into your programs. You validated artifacts of cinema that were otherwise branded as guilty pleasures. 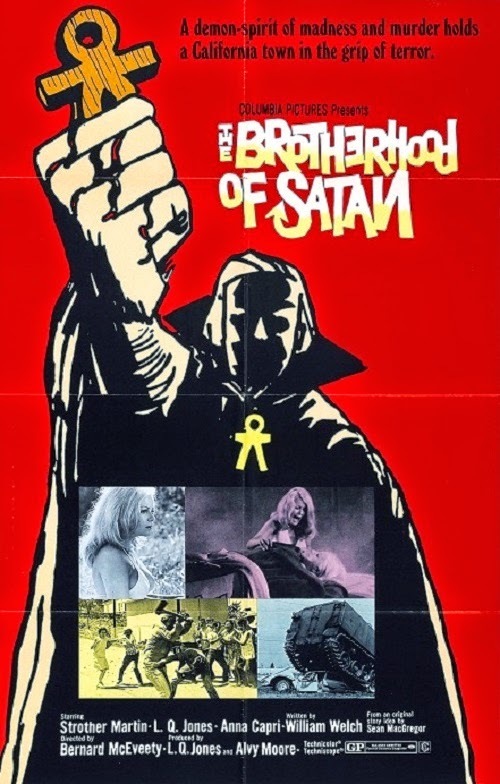 Seid: Probably the largest guilty pleasure was when I did the series called "Born To Be Bad: Trash Cinema Of The Sixties And Seventies." Sometimes these movies were bad in relation to a superior director who had just stumbled completely, but often they were just intentionally bad films that had some kind of character to them. Guillén: Were you laughing at the films? Seid: There are lots of films that are worth laughing at and some that are worth laughing with. Guillén: Which might be thought of as a solid example of spectatorial innervation, instances where an audience is emoting and their emotion—in league with the projection—characterizes the screening event. That can be very specific to a time and place. An audience that looked at Cruising (1980) back in the '80s is a different audience that watches Cruising today and the feeling in the room is going to be different. Seid: But there's also the issue of camp, which is problematic, because the audience assumes superiority. What makes something campy and fun is that it expresses some kind of failure of the past that you have risen above; but, usually it's not true. [Laughs.] Alamo Drafthouse lives off a kind of camp when they program singalongs and that sort of thing, when they take bad examples of genre films and exploitation films and add something to it; but, the investment you have is that you are superior to the tawdry nature of the film on display. 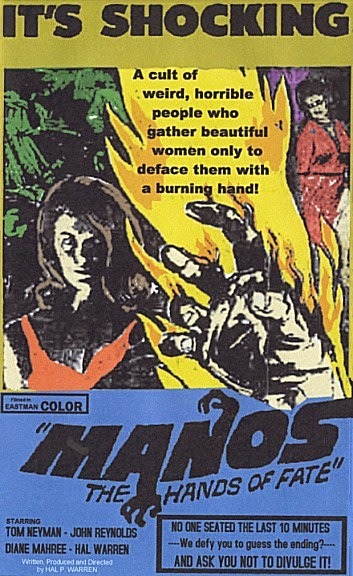 We have a film in our collection that I used to show called Manos: The Hands of Fate (1966), which some people think is the worst film ever made. The legend is that a guy in Texas, a fertilizer salesman, felt he should make a feature film so he cashed in everything to make this movie. It was about a typical, middle class white couple who take the wrong left turn on a country road and they end up at this house where there's a cult. It's so corny and funny that you just laugh from one end to the other, but it's obviously supposed to be something of a terrific story. Guillén: Let's talk a little bit about the layer added to the spectatorial experience through the program notes crafted for PFA's bi-monthly program guides. These capsules truly helped to convert me into a PFA addict. That little bit of capsular context helped me appreciate the movies so much more. Did you arrive as a film notes writer to PFA or was that a skill that you developed on the job? Were there specific guidelines? Seid: I started as a writer. I wrote some short stories when I was in grad school because I thought I would pursue the great American novel as required, but—when I got out of grad school—I didn't exactly know what I was supposed to do. I began writing film reviews and music reviews in the late '70s for alternative weeklies like The Berkeley Barb (when they were still respectable) and for weeklies in the City. I used to write for this thing that was the beginnings of the SF Weekly before it became the Weekly. I wrote for a paper out in Marin County as their weekly film reviewer, that sort of thing. I loved writing. Guillén: PFA has a uniform style to their program capsules and, fortunately, most of those capsules have remained on-line so there is a historicity to that particular writing practice. I'm intrigued by aspects of film culture that almost seem to be thrown-away, such as program capsules, which I actually find difficult to write. Seid: When I began working at PFA, I was still writing elsewhere. Then that stopped. After you've written dozens or hundreds of these 200-word capsules, it ruins you for writing long because you train yourself to try to complete some kind of thought in the least number of words possible. When I try to sit down and write some 1,500-word review, I have to struggle to do it because I want to write it all in the opening paragraph. When I began writing notes at PFA that were in the 250-word length and then they slowly but surely got trimmed back to 200 words. Now I feel the program notes are more like our old blurbs; the quick hips to explain a film. Guillén: And yet it is a discipline I admire. I think Jason Sanders is the King of the Program Capsule. When I first started to write capsules for film festival catalogs, Jason was the overseer and I was actually fascinated how he would take something I wrote and tweak it just so and, ultimately, they were so much better and concise. That's when I began valuing program capsules as a specific type of short form film writing. Seid: I used to write program notes for local film festivals. I also worked for a lot of festivals. I was told that some editors don't like my notes because they're too hard to edit. I tend to write notes that are tangled unto themselves so that every line leads to the next line. If you take a line out, there's an ellipsis. There's a gap that becomes apparent. I guess with some writers you can extract things easier? Guillén: You use a lot of word play. Seid: Yeah. I love to play with words but I still think that they sit on top of seriousness. Mine aren't gratuitous puns. They're puns that spark ideas that may resonate later on. I try not to do gratuitous, off-the-wall word play. Guillén: Now that you've come to the end of this phase of your creativity, are you wedded to the work you've done? Are you the kind of writer who has archived his work? Would you be able to go back and assemble your 10 best program notes? Seid: No. I'd have to go into PFA's database. I'd have to find them that way. Even a lot of the past writing for the alternatives, most of that stuff is gone or in disarray. I used to have a portfolio 30 years ago, but I stopped dealing with that. Guillén: So here's a stock question for you—what have you taught yourself over the past 26 years? Seid: What I like in a certain way is that there is a social aspect to what I do. When I was in college, the only course I ever dropped out of was a public speaking course, which is horrifying to me. It scares the hell out of me. The fact that when I started working for PFA I had to go up to a podium amazed me. Guillén: Yet you have such a mastered extemporaneous style? Seid: I've developed a system where I take notes, but the notes are only to organize my thinking before I enter the theater and then I ignore the notes. I create an outline, in a sense. But what I loved ultimately was orchestrating a show. Out of the programs I've done, almost every one of them I've brought music to play beforehand from my personal collection. I feel you have to start the show before the show. You extend the curation. You can ignite a mood and then you go up to the podium through this entry point you're providing. Then when the film is over you're with the audience. That's the part I enjoyed the most. Feeling if there's an energy from the audience. That's the exciting part. Everything else is the work to get to that. Guillén: Moving forward, I understand that in your retirement you plan to return to your origins to write a study on Ant Farm? Seid: They go back to the origins of my interest in media. In the early '80s, some of the Ant Farm people were the very first people that I met and was affiliated with within the experimental world. That, plus the fact that the Berkeley Art Museum owns the Ant Farm archives. I've gone through some of the material there and it's unbelievably rich. I had started thinking about this project before thinking about retiring. It's a chance, again, to break out of a short form of writing, which is also a short form of thinking. Guillén: You exhibit a trend I've witnessed in critics, let's say, who advance in years, in experience, in credibility, and who at one point—like Jonathan Rosenbaum or David Kehr—cross over into the realm of film historians. Their life experience, their decades of deep knowledge of film, inform their retrospection on film. It's like that quality that Italian painters called luce di santo, "the light below", which in specific practice among Flemish painting was when scarlet was glazed with gold to give the illusion of living flame. Past your research on Ant Farm, do you see yourself writing more for magazines to explore that long form content you've been missing? Seid: I'll have to feel that part of it out. I don't quite know where the writing will go after the Ant Farm research. There are already a couple of other things I've become interested in while researching Ant Farm. I was researching a sidebar of Ant Farm and the sidebar itself seemed like a book. Guillén: Well, we've talked about this a little bit already, how retirement affords the time to explore diversions. Seid: It's dangerous! [Laughs.] The beauty of programming is that it's an ongoing research project. When I was in grad school, one of my main joys was to sit in one of those cubicles in the library. I love doing research. 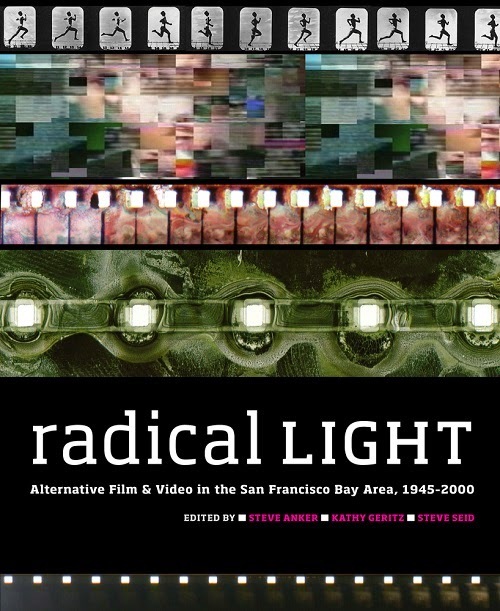 Guillén: Since the Pacific Film Archive is a sibling organization of the Berkeley Art Museum, can you speak to the role of film spatialized in the gallery space? Or film used in installation art? Have you had much to do with any of that? Seid: I did some curating in the galleries over the years. Not often. I did a Chris Marker installation called "Silent Movie." That was quite some time ago, about 15 years ago, when he was first experimenting with multi-channel open-ended narrative. I also co-curated the Ant Farm exhibition, which had lots of media inside the gallery [essay]. I even did a Bruce Conner show once, but it was just his photographs of the punk rock scene at the Mabuhay Gardens. I did have a film component to go with it. Much more so in the earlier days of PFA, the artists I worked with were often installation artists. One aspect of their work was single-channel works to be exhibited, say, theatrically. The other aspect would be more architectural form, dealing with architectural features and spatial relationships. Guillén: Now this is kind of a hard-hitting question and I'm not even sure you're free to answer it, but who is going to replace what you are doing at PFA? You have some diehard fans of the programming you've been offering over the years. How will PFA compensate for losing your curatorial taste? Seid: My understanding is that they'll be hiring a full-time curator to replace me, someone suitably younger, who (hopefully) will return some of my own fixations to the curatorial mix. Guillén: A multiplicity of curatorial taste can only mean enrichened programming. Yet, this is also my complaint to contemporary audiences: that if they want a multiplicity of curatorial voice, they have to support a multiplicity of curatorial voice. They have to go and see the different programs. My concern with how the cultural landscape of San Francisco is changing—for that matter, how it's changing throughout the United States—pivots around a lack of intellectual engagement or curiosity with alternative programming. Are American audiences really going to be content with American Sniper?! If they are, then they have only themselves to blame for what they've lost. Seid: To me the even bigger issue, though, is what will it be like in two years? Audiences are changing completely now, especially the younger audience, and the question becomes whether an archive like PFA is going to be an archaic service? Or whether it's going to reinvent itself? There is a reason to preserve the experience of seeing film, as well as preserving the films themselves, and perhaps an archive like PFA will have to become a refuge for the experience of cinema, the reception of cinema; but, that would make it a static enterprise, fixed in time, or else it can determine that it wants to follow where the audience leads to a certain extent. Not that we should start asking everyone to bring their iPads to serve as their personal screen in the theater, but to somehow empathize with the needs of the audience and determine how to address those needs. I've been doing that a little bit and, like you said, I've been trying to create a bridge to that world; but, I believe it has to be done at a much more institutional level. Guillén: Clearly, that's where education is key. Where cinema literacy is key. And, as bleak as it sometimes seems, I am at the same time heartened, let's say, by the audiences at Noir City or the San Francisco Silent Film Festival, which increasingly embrace a younger demographic, and endorse a participatory ethos where the audience is taught to feel personally responsible for film preservation. So not only have these audiences been taught about film preservation, about the value of film preservation, but they've actually been invited to be responsible for film preservation. When Eddie Muller introduced the restored print of Woman on the Run at this year's Noir City, he made a point of making the connection that it was the sale of Noir City passports that financed that restoration. That makes an audience feel good. I hope PFA will have the foresight to recognize that they have to somehow configure a similar invitation to their audiences. The days of a passive audience simply enjoying programming no longer serve. Seid: An interesting series that I did in 2014 was a three-part comedy series and the audience declined part by part. I attributed that to the age of the intended audience for each section. The '40s-'50s series ("Funny Ha-Ha: American Comedy, 1930–1959") did very well. The '60s-'80s ("Jokers Wild: American Comedy, 1960–1989") did quite well. But then when I got to the last section ("Rude Awakening: American Comedy, 1990–2010") where I even had people vote on which films they wanted to see—because I had this conceit that with more contemporary comedy, it's hard to determine its staying power—the audiences were small. And though I thought the concept was successful because of its engagement with an audience, saying they get to vote online, the audience didn't turn out. PFA understands how to communicate with 65-year-olds, but they don't know how to communicate with 25-year-olds, who don't look at our program guide, who don't reflexively visit our website twice a week to see what's up. The museum has to make a vertical effort. 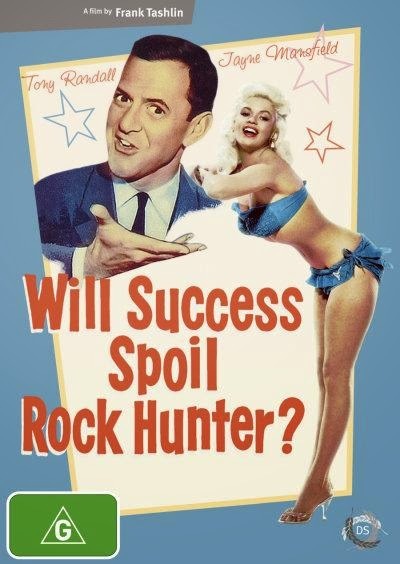 The publicists have to learn how to go after this other audience to make the archive's programming successful. Right now, they stick with the known and conventional audiences. What you end up seeing is a body of dedicated people; but, that body is withering and dying. Does that become the metaphor for your institution? Is the institution withering and dying along with them? I'm not saying that you need to throw out the past; but, you modulate it. Sometimes you'll like a program because you're in your 60s and sometimes you'll like a program because you're in your 20s. But you can't bunker down in some fixed demographic, even if it's an art-sustaining audience. I remember going to this local Art Convergence at the Rafael Film Center and there were people there talking about this very issue: how do we reinvigorate our audience? How do we find a younger audience? One publicist was saying, "But we're afraid that we'll alienate our older audience." If you're worried about alienating your older audience, then you're really doomed! If pursuing younger people and including work that appeals to them within the spectrum of your programming is too problematic, then you might as well go into the alley and shoot yourself. Guillén: So to wrap up here, any series you didn't get to do that you wish you could have? I also worked on a series that involved India that just fell apart. Anuj Vaidja and I were trying to do an Indian noir—more of a neo-noir—series. Indian filmmakers made all sorts of amazing crime films in the '80s and '90s, pretty much up to the present, but dealing with film distribution out of India is just mind boggling. If you're dealing with a contemporary film, they're fine because it's business; but, if you're asking for a five-year-old film or ten-year-old film, it means there's no money to be made and it's on a shelf, so who cares about it? Anuj would literally go to these people in Bombay and could not get them to say, yes, we'll provide a print. After about a year and a half, we just gave up. But it would have been just terrific. [Smiling.] I do have my regrets. Of additional interest: Here on The Evening Class, I've transcribed Steve's introductory remarks for the PFA screenings of Dark Passage (1947), Nightfall (1957), Shoot The Piano Player (1960), and The Unfaithful (1947), as part of his "Streets of No Return" series, at which time I also conducted an interview with him on the series. I also interviewed him in 2008 for his series on the films of Gabriel Figueroa. I've also replicated Steve's 2013 Morelia Film Festival essay on Burt Lancaster. Elsewhere on the internet, see Jon Brooks's recent KQED profile interview, which touches upon "the digital controversy." Also, his 2005 East Bay Express citation as "the hippest museum curator"; Rebecca Clemans's 2006 interview for Media Art Resource; Wendy Edelstein's 2009 interview for the UC Berkeley News; his 2013 profile of Daniel Reeves for SFMOMA; his 2013 thoughts on The Residents for Theory of Obscurity; his 2014 contribution to the Playlist Project; Ryan Koehn's Daily Californian coverage of Seid's "Funny Ha-Ha" series, parts one and two; and his 2014 Vimeo discussion with Constance Lewallen regarding Omer Fast's film Continuity.